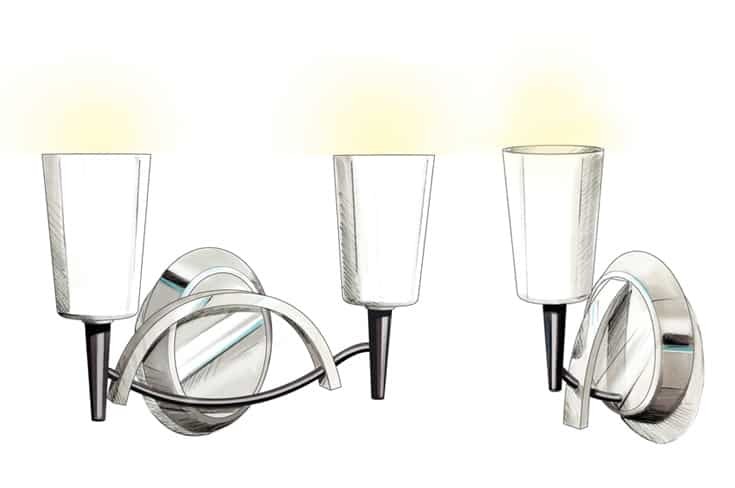 Classic decorative lighting family and prototype made for illume lighting. 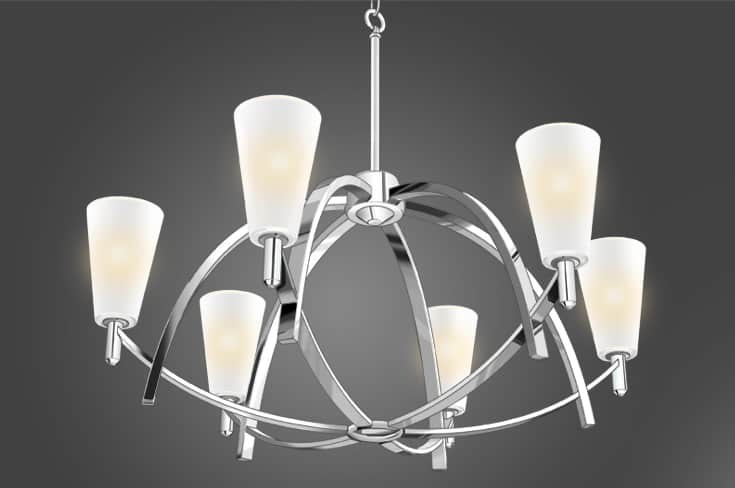 Steel structure with frosted glass shade. 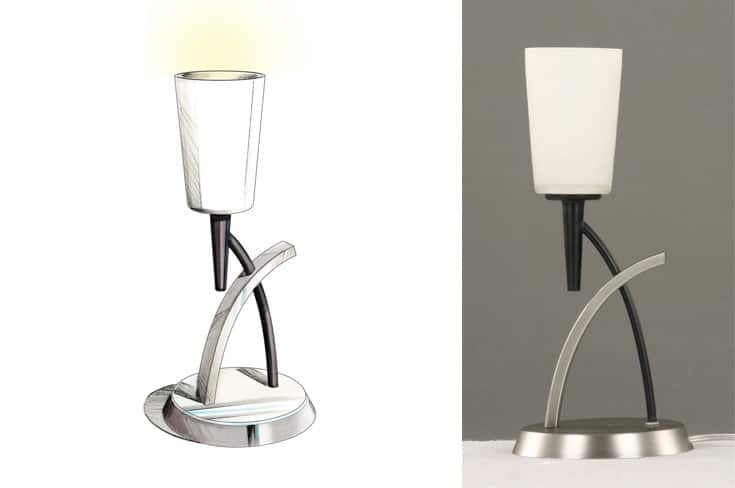 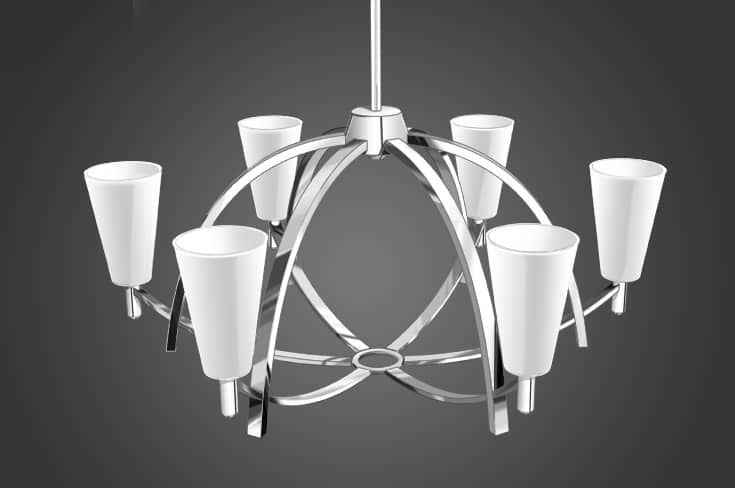 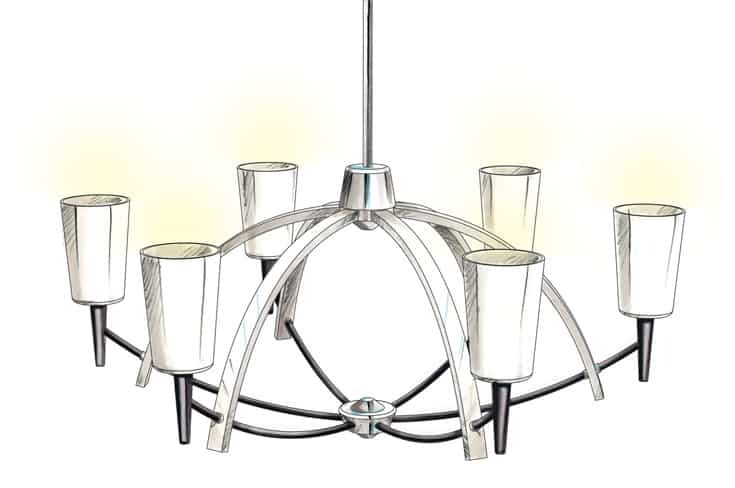 Four products were design for this family; 6 lights chandelier, 2 lights and 1 light murals and 1 light table lamp.